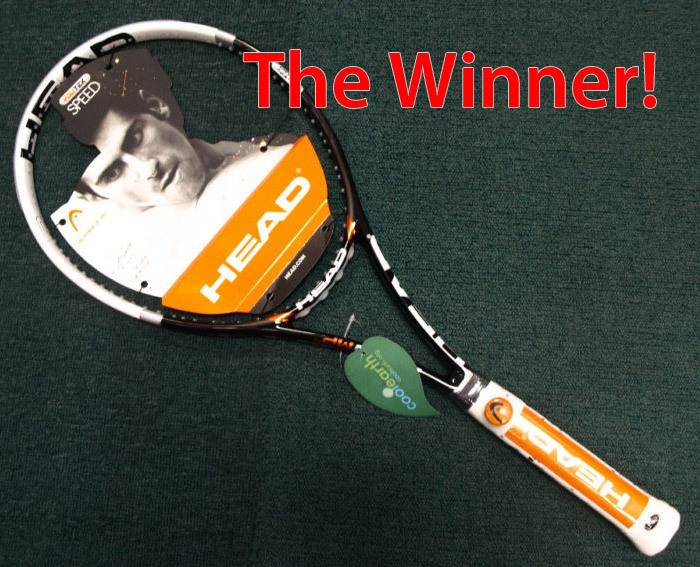 And the winner is… Head Youtek Speed MP 315 18×20! That is certainly a mouthful, right! I went into this demo process knowing that I wanted to make a decision quickly in order to get the new racquet and start going through the funky transition process. Already feeling pretty good about the Head racquet I had demoed the previous weekend, I knew I had a good starting point for any new demo variations. I went back to SFTC to pick up the Head again for more testing, and also to give the Wilson K Blade 98 a try. I had reservations about the K Blade. If you read my last “demo” post you might remember that Wilson racquets and I don’t tend to play nicely together. And of all the pros I would ever think my game could favorably compare for racquet use, Roger Federer is definitely the low man on that mini totem pole. But there I was, on Saturday, hitting with the K Blade 98. The racquet felt really good in my hand. The head seemed a little small, but overall the feeling was a good one. After some “shortball” warmup, we moved to the baseline and started hitting. The first shots came to my backhand. WHOA! Hitting backhands hadn’t felt so nice and sweet in quite some time. These were some of most solid backhands I have ever hit. The sound off the racquet, the pace and depth. It was very nice. Then I tried to hit forehands… and the budding love affair quickly vanished. I hit my forehand with a fair amount of topspin. I need a racquet that allows for that kind of sweep up the ball without also needing pinpoint accuracy in order to hit the sweet spot. 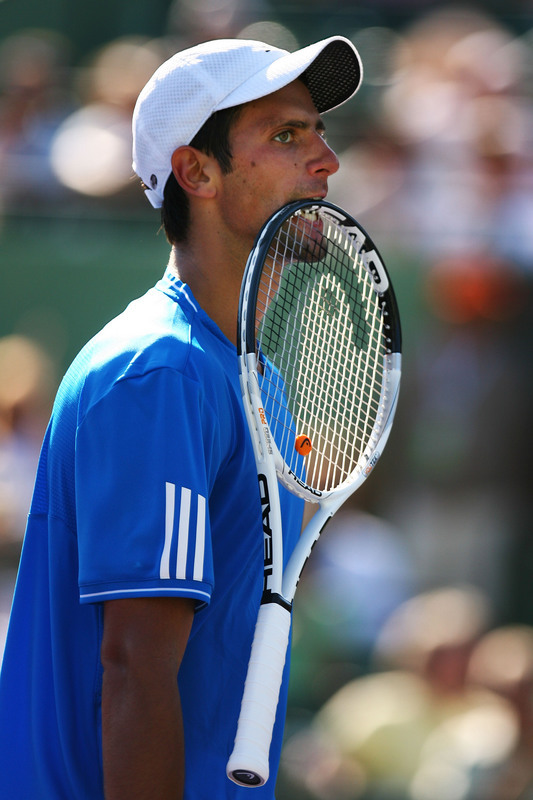 THIS is not that racquet. The sweet spot is just about the size of a tennis ball (or at least it feels that way). If I hit the ball squarely it was okay. If I hit the ball slightly off, it was a shank of epic proportions with shock down my arm to match. Back to the racquet bag. I picked up the Head and was immediately back in love, but with a slightly different twist. The Speed MP 315 I demoed the previous weekend was a 16×19 string pattern. This time, Lynnette at the SFTC pro shop gave me the 18×20 so I could see the difference, however slight, between the two. It was pretty much perfect. The 16×19 string pattern was good but this one felt ‘just right’. Serves, forehands, backhands… all good. It’s still a pretty big adjustment from my current heavier and more head-heavy Volkl racquet, but that’s not necessarily a bad thing. 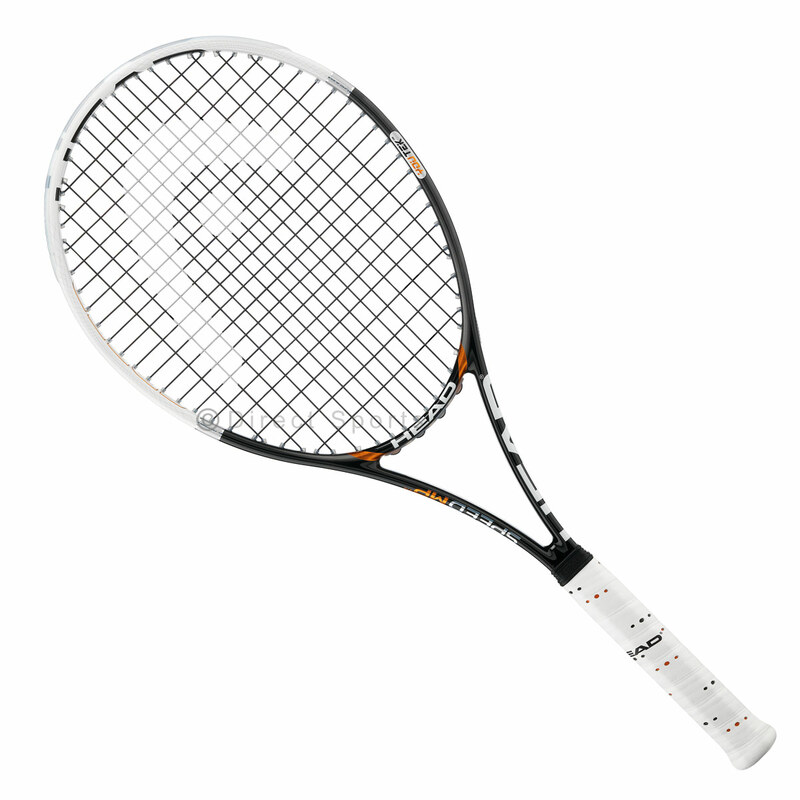 This racquet requires technically sound and relaxed strokes. As soon as you attempt to “hit harder” or go for the kill shot, it’s easy to over-swing and either shank the ball or meet the strike-zone ridiculously early (sending the ball straight to the bottom of the net). With only a good relaxed stroke, all the rest falls into place.